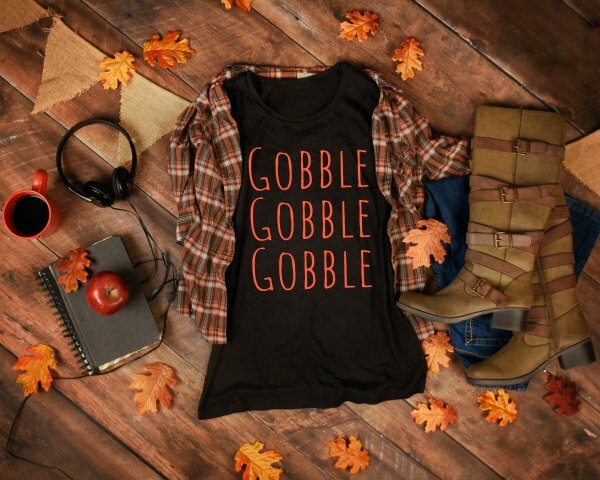 Gobble Gobble Gobble T-Shirt for everyone who loves turkey day! A fun shirt to wear to Thanksgiving dinner or any time of year! Great gift for someone who loves turkeys, lives on a farm or just loves to gobble gobble gobble everything in site! Gobble Gobble Gobble! Fun Thanksgiving turkey tshirt!